Thomas S. Burgoon, MD specializes in the use of medical acupuncture for a wide range of common and difficult-to-treat medical conditions as well as health maintenance and disease prevention. Dr. Burgoon is one of the first physicians to graduate from the 4-year Chinese Acupuncture for Physicians course taught through the University of Southern California School of Medicine. He also earned a Masters Degree in Oriental Medicine from the New York College of Traditional Chinese Medicine, a highly esteemed, ACAOM-accredited college of acupuncture and oriental medicine. A graduate of Vanderbilt University School of Medicine, the doctor completed his 3-year residency training and earned board certification in Internal Medicine. He now specializes solely in the practice of Medical Acupuncture. Dr. Burgoon is one of only a few American physicians to have such extensive training in both modern and traditional Chinese medical therapy. A former faculty member of the course, Chinese Acupuncture for Physicians: Scientific Basis and Practice, which was offered through the University of Southern California School of Medicine. President of the largest professional organization of physicians using acupuncture in their medical practice — the American Academy of Medical Acupuncture (AAMA). He has twice been chairperson of the Academy’s annual scientific and clinical symposium. The medical advisor on acupuncture to Unite for HER. Unite for HER works to bridge the gap between the medical and wellness communities by educating women with breast cancer about complementary therapies, providing them with a compassionate resource for support, knowledge and healing. A former faculty member of Presbyterian- University of Pennsylvania Medical Center. 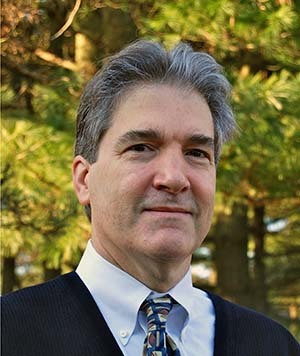 A former assistant professor at the New Jersey School of Medicine and Dentistry, where Dr. Burgoon taught physicians, medical students and nurses about the role of acupuncture, traditional Chinese medicine and botanical medicine in modern medical practice. As a physician, I believe in therapies that are both effective and safe. My interest in acupuncture grew as I discovered that many patients were helped by it, even when they had not responded to any other treatments. I also saw patients whose conditions had been improved by medication but at the cost of unpleasant, unhealthy and even dangerous side effects. With acupuncture therapy, I have been able to help many of these people improve their medical conditions, feel better and to do so with less medication. My experience in treating patients with acupuncture for over 20 years has definitively taught me, and repeatedly reinforced, that it is effective for many medical problems, including those that have not responded to other therapies. It is especially safe in the hands of trained physicians. By making it part of a comprehensive approach to health/medical care, many people are not only able to take less medicine and avoid the risks/problems of side effects, but to also feel better in the process. Dr. Burgoon has extensive experience in treating cancer patients receiving chemotherapy/radiation. In the following video he discusses acupuncture integrated with cancer treatment.